Perhaps the biggest roadblock in patients deciding upon plastic surgery is the recovery. Modern procedures and techniques in the hands of expert surgeons are dramatic, natural, and patient-tailored; there’s no question that the results patients seek are readily available to achieve. That said, is it worth the surgical experience and accompanying recovery? In addition to the myriad of advances in techniques and technology, there have been numerous advances in helping patients achieve a successful, faster recovery. 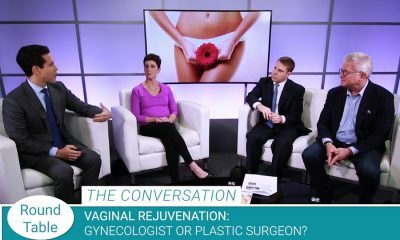 Board certified plastic surgeon Dr. Stephan Finical of Charlotte has his colleagues explain their successful post-op strategies to get patients not only the best results possible, but back to their lives as quickly as possible. One of the technical advances in plastic surgery, both on the operating table and the period of time that follows, involves improvements in medication. One in particular, Exparel, has been routinely touted as vastly improving the formerly intense period of time directly following surgery. Depending on the procedure, this period of time can last a day or a few, the last big hill to climb before recovery starts to slowly fade over weeks. Exparel works by numbing the areas during surgery and lasting for upwards of 3 days post-op. This has led to patients feeling well enough to physically help along their immediate recovery, while also significantly lowering the need for post-op narcotics, which have their own downsides. When muscles are affected in surgical operations, muscle relaxants have been found to also ease the trauma caused during surgery that elongates and intensifies recovery. Board certified plastic surgeon Dr. Tracy Pfeifer of New York City routinely uses muscle relaxers so that her patients may achieve a faster recovery. The key with both of these medications is not just that they’re going to achieve a faster recovery and a less painful one for patients. Because they’re used pre and mid surgery, they give surgeons a tool to make the operation even better. The use of medications and improved surgical techniques absolutely speed up the recovery process, especially that first period of intense recovery. Patients are so relieved that it wasn’t as bad as they thought that they may begin to think that recovery is over, or won’t be as long as they were told. This may then lead to them becoming more active than they should be, which will then inhibit the recovery. Even after pain has started to subside and patients begin to feel “normal,” it’s still not yet time to hit the gym or go for a run. Surgeons have taken decades of experience with recovery and nailed down what’s too much. One of the main issues with procedures post-op is the swelling. Patients may begin to feel normal, and even great, but continue to have swelling for a period of time. They may feel good enough to hit the gym, believing that they are ready and need to get back to it, but this could really be detrimental to the swelling aspect of recovery – to the point that recovery is extended. The best plastic surgeons are hardworking, active people – they understand fully when patients show trepidation at the thought of being bedridden or sidelined for a period of time. Thankfully, techniques and technologies have vastly improved the recovery. Where they aren’t involved, experienced surgeons have a hardened set of guidelines for patients to follow to achieve a faster recovery than ever before. Patient can rest assured that their last hang-up on the idea of receiving a procedure, the recovery, is actually not too bad at all with modern techniques.